Xiaomi, the popular Chinese manufacturer has announced three new devices for the Indian market. While earlier it was being said that they are launching just the Mi3, they also announced the two other devices that will be priced lower that the Mi3. These two devices are the Redmi Note and Redmi 1S. The Mi3 has got hardware comparable to the Google Nexus 5 which comes at twice the price. On the other hand, the Redmi Note is a large screen device and comes with an octa core processor. We ignored the relatively low end Redmi 1S and put the Redmi Note and Mi3 against each other. The MI3 is obviously the better device here. It has been made in aluminium and magnesium which gives it a premium feel. It is small considering its 5 inch display size and is very slim. It is just 8.1 mm deep and tips the scale at 145 Gms. 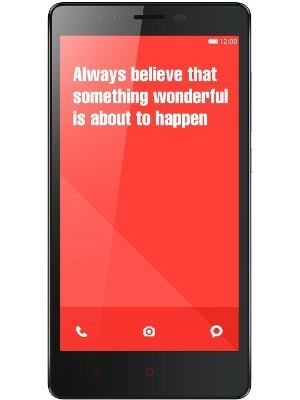 Overall the design of the Mi3 is very impressive and we can say with confidence that it can even match many flagship devices of today. The Redmi Note isn’t bad looking or badly built either. It is larger but that is very obvious with the 5.5 inch display. It is considerably heavy at 199 Gms against the 145 Gms of the Mi3. While they haven’t picked the materials that would match the Mi3, it isn’t bad in any way. The plastic feels nice and the device feel solidly built. One handed operations are out of question due to the large dimensions. The bezels around the display are a bit fat and there is a lot of space adding to the device dimensions above and below the display. Our pick here would definitely be the Mi3 but even if you are looking for a relatively affordable option, the Redmi Note isn’t a bad option either. This part is very clear from the spec sheet only. A display density of 300 ppi or above appears very good on the display. A smaller display would have done away with 720p resolution but it doesn’t look good on a 5.5 inch display .the display density drops considerably though it isn’t bad. The display is still very crisp and the colours are well saturated. On the other hand, the Mi3 has got a full HD display that measures 5 inches. It is an IPS panel which means that the contrast ratio and colour replication is decent. Obviously you won’t get `contrast ratios as impressive as an AMOLED panel, they are still pretty impressive. The display is easily readable even in bright sunlight which indicates that the maximum brightness can go to a high value. If you are looking for a super crisp high quality display, you can pick the Xiaomi Mi3. But in case you have got extra-large hands and you watch a lot of movies on your mobile device, you might want to consider the Redmi Note which has got a 5.5 inch display. The hardware on both the devices is quite different. While the Xiaomi Mi3 runs a Qualcomm Snapdragon 800 chipset which is the same as Nexus 5, the Redmi note run a Mediatek chipset. This chipset comes with a 1.7GHz octa-core processor. The Mi3 runs the quad core Krait processor which is an even better hardware. Both the devices come with 2-gig RAM so they are evenly matched here. Though there are other differences as well in terms of connectivity and storage. Both the Mi3 and Redmi Note haven’t got support for 4G networks but that would hardly make a difference for most people as we don’t have any 4G networks in India. Other connectivity options are shared between the two devices except for the NFC. It is available on the Mi3 but the Redmi Note skips on it. Other features include Wi-Fi, Bluetooth 4.0, 3G and micro USB 2. You get limited storage on the Mi3 as they have launched just the 16 GB variant here and kept the 64 GB model for their domestic market only. Here the Redmi Note offers better option with 8 GB of on-board storage and the option to add up to 32 GB of external storage. Both the devices have got 13 megapixel primary cameras. While they appear to be the same on paper, the Mi3 offers some extra features. The extra feature we are talking about here is the image stabilisation which would reduce the blur from images. It has got a dual LED flash against the single LED flash on Redmi note. Both the devices can record full HD videos at 30 fps. The Mi3 gets a front camera of 2 megapixel resolution which is decent but on the Redmi Note, they have got a couple of steps further and put in a 5 megapixel secondary camera. The Mi3 has got a 3050 mAh battery which is pretty good for the hardware. The Redmi Note gets an even bigger battery which has a capacity of 3200 mAh. The battery on Redmi Note can be removed but that is not possible for the Mi3. Both the devices run a custom version of Android though the Mi3 runs a newer version of android. It has got the interface from popular custom ROM MIUI which is quite impressive. It also adds a large number of customisation options which you won’t find on many other stock devices. Apart from the difference in android version, there aren’t many significant differences between the two devices here. The [tp lang=”en” only=”y”]Xiaomi Mi3[/tp][tp not_in=”en”]Xiaomi Mi3[/tp] comes at a price tag of 13,999 which makes it excellent value for money. You would have to shell out almost twice the amount of money for similar hardware if you go for a mainstream manufacturer. The Redmi Note is available for 9,999 which is an attractive price tag as well, considering the features you get on this phone. If we are asked to choose between these two, we would pick the Mi3 for a slight premium in price. Anh Tuấn recently posted… Hệ điều hành nào nên cài cho VPS?